Photographs by Laura McNeill, no reproduction without permission. Here are a few (sad) pics of PM being torn down. By a complete fluke Mary Sanchez and myself were just passing on the way to Cannon Hill Park. 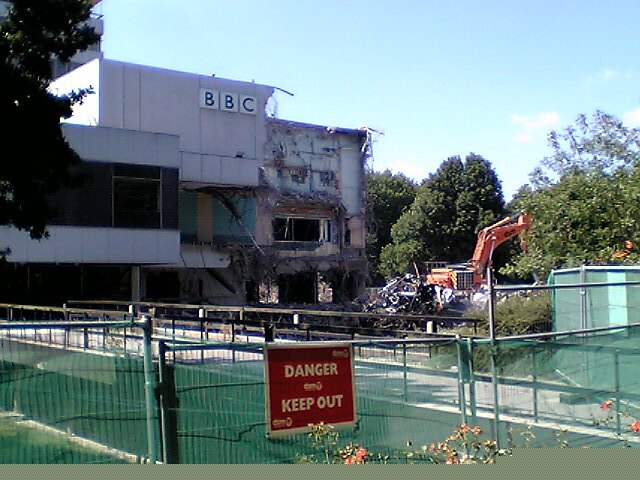 We saw the cruel tearing down of the front of the building which was quite emotional. Andy Foley came by as well and I know he took some news footage as well of this.